Z39.50 is a national and international standard defining a protocol for computer-to-computer information retrieval. It is a client-server, application layer communications protocol for searching and retrieving information from a database over a TCP/IP computer network. It is covered by ANSI/NISO standard Z39.50, and ISO standard 23950. 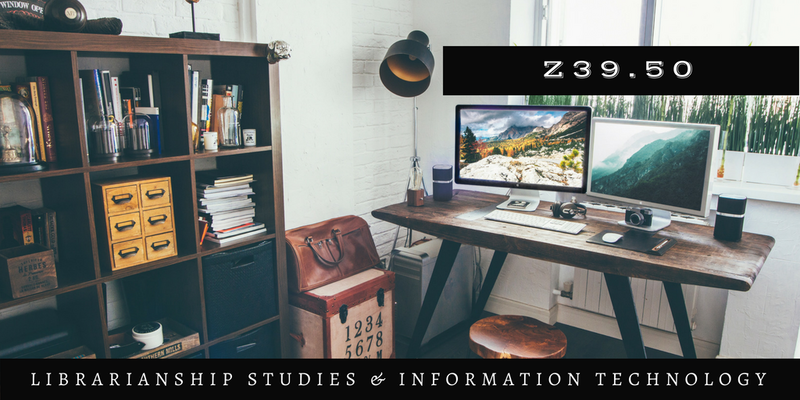 The National Information Standards Organization of the United States (NISO) relating to libraries begin with Z39. To use Z39.50, you will need either special software or have an ILS with Z39.50 capabilities. Z39.50 acts like a “back door” into a library catalog. In order to download another library’s records, that library has to allow Z39.50 access to its catalog. If it does, though, there is no fee to pay the library providing the record. Work on the Z39.50 protocol began in the 1970s and led to successive versions in 1988, 1992, 1995 and 2003. Z39.50 was originally approved by the National Information Standards Organization (NISO) in 1988. The standard's maintenance agency is the Library of Congress. The Z39.50 Maintenance Agency Page includes documentation and information related to the development and ongoing maintenance of the Z39.50 standard. Z39.50 makes it possible for a user in one system to search and retrieve information from other computer systems (that have also implemented Z39.50) without knowing the search syntax that is used by those other systems. Z39.50 provides for the exchange of information, such as surrogate records or full text, between otherwise non-compatible computer systems. Z39.50 makes possible for the sharing of cataloging records primarily by importing MARC records into an ILS. Z39.50 is widely used in library environments and is often incorporated into integrated library systems and personal bibliographic reference software. Interlibrary catalog searches for interlibrary loan are often implemented with Z39.50 queries. The primary advantage to using Z39.50 is the cost. Some ILS software does the searching for you (i.e., the search is done from your ILS, not in the target ILS) and may charge a fee for enabling this service. The major disadvantage to using Z39.50 is that you might have to search each library individually, although there are some ILSs that will let you search a handful or so at a time. Your Integrated Library System (ILS) or library software can also be configured to OCLC database which is the largest database of library catalog records through the Z39.50. The Library of Congress offers Z39.50 access to its collection, so it is possible to download catalog records from them which are of highest quality following modern international standards such as Resource Description and Access (RDA). Z39.50 is a pre-Web technology, and various working groups are attempting to update it to fit better into the modern environment. These attempts fall under the designation ZING (Z39.50 International: Next Generation) and pursue various strategies.